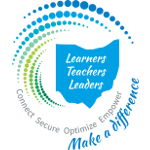 For questions about CTE standards, contact cteohio@education.ohio.gov. With the transition to pathways and courses in Career-Technical Education, the Ohio Department of Education is fine-tuning its technical content standards in 16 career fields. The Department is looking for feedback from educators, community members, and industry professionals as each career field’s standards are reviewed and revised. The Department is committed to making sure Ohio’s students obtain the rigorous, industry-relevant knowledge and skills they need to be successful in their transition to careers and college. The Office of Career-Technical Education at the Ohio Department of Education schedules revisions of its Career Field Content Standards on a rotating basis. The Department seeks feedback from educators, community members, and industry professionals as each career field standards are reviewed and revised. An advisory committee of education and industry leaders use the survey feedback to select standards for review. The committee then provides direction to working groups of subject matter experts for each area, and the working groups will return to the advisory committee with proposed revisions. Ultimately, the Department will adopt the revised standards.